The developers state that the program allows to “helps you learn new and better ways of coping with stress, low moods and anxiety. 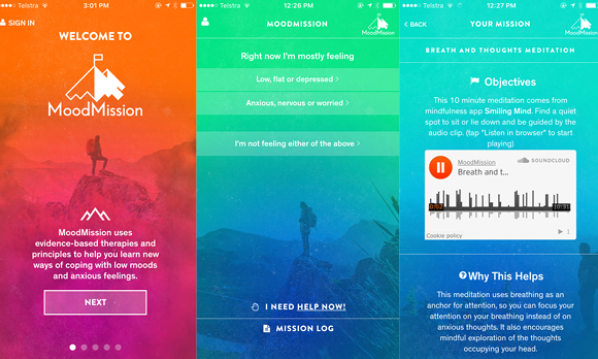 Tell MoodMission how you’re feeling and it will give you a tailored list of 5 Missions that can help you feel better. “ (Accessed Google Play, November 8 2017).